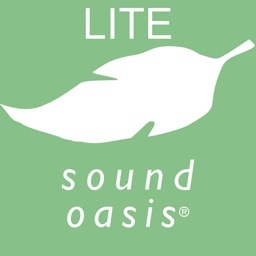 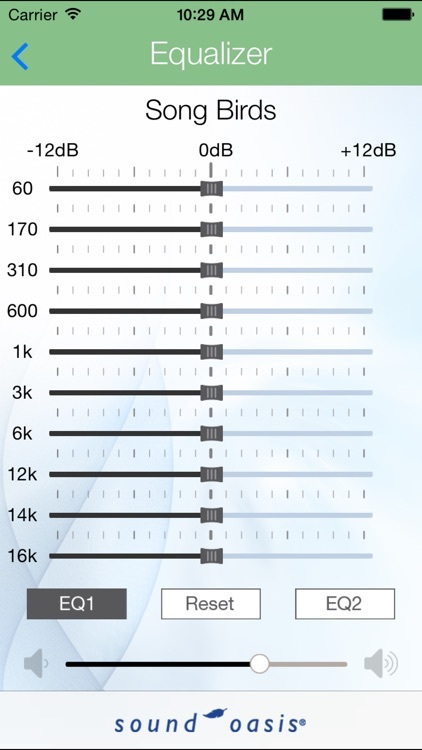 Sound Oasis® is the world leader in sound therapy systems. 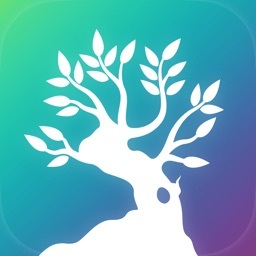 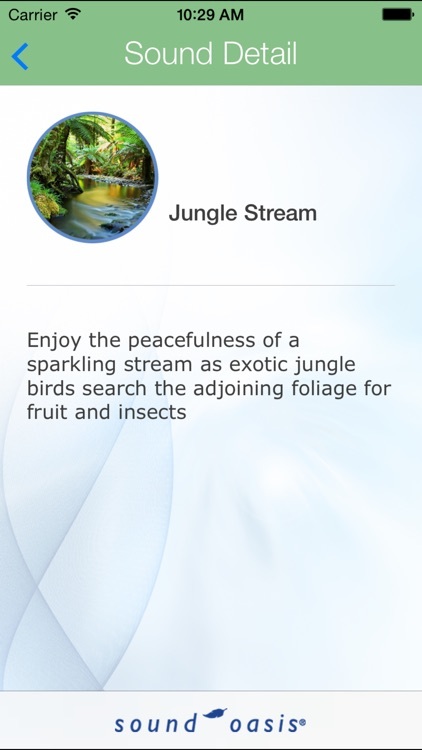 We take relaxation and sleep therapy seriously and hope that this Nature Sound Therapy app helps you. 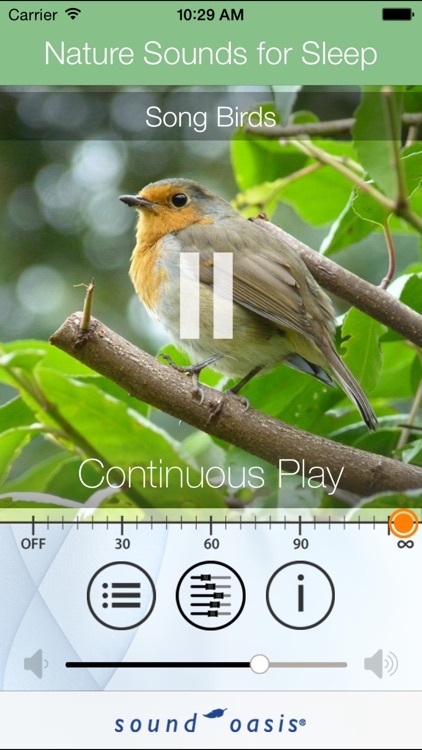 This app provides a wide variety of sounds. Some are simply great nature sounds. 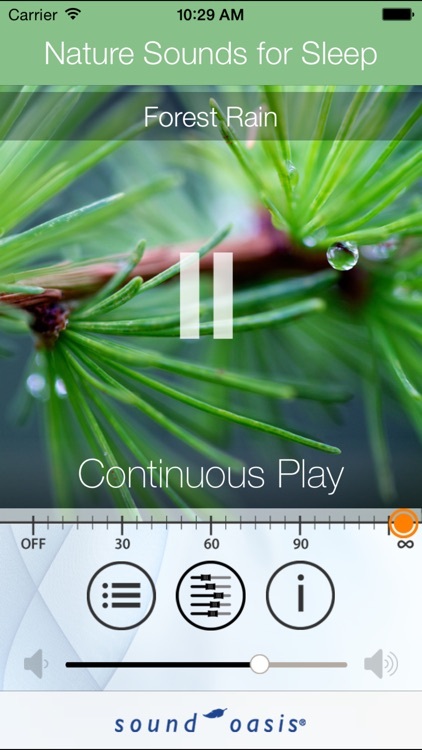 Others are recordings of natural masking sounds such as waterfalls to help you block out distractions. 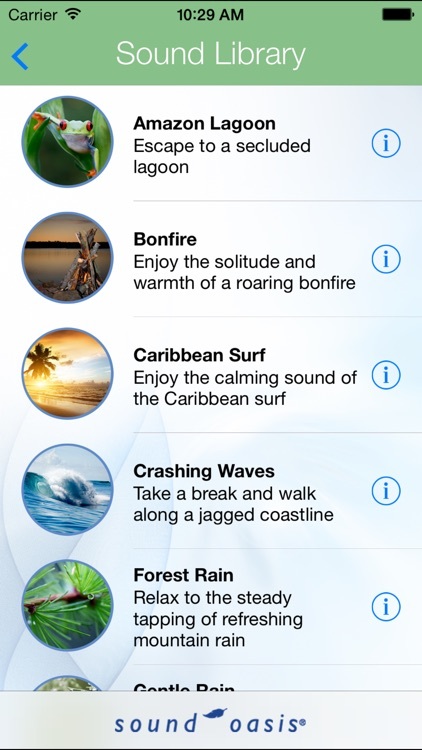 This app can be an effective tool to help you relax and fall asleep using sounds as a therapeutic masking tool. 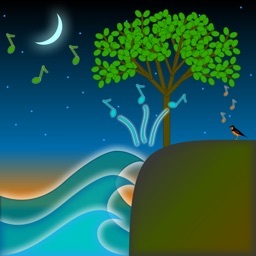 Nature sounds create a familiar, highly effective way to relax, block out unwanted noises and create a soothing and consistent sound environment. These Nature Sound tracks are carefully designed so that you experience our world famous sounds uninterrupted for the best sleep experience possible.